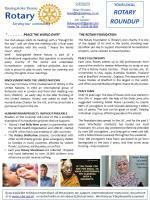 Rotary Club of Basingstoke Deane - welcome! Please scroll/swipe down through this page to find out more about us, in addition to the pages linked in the menu, top-left. 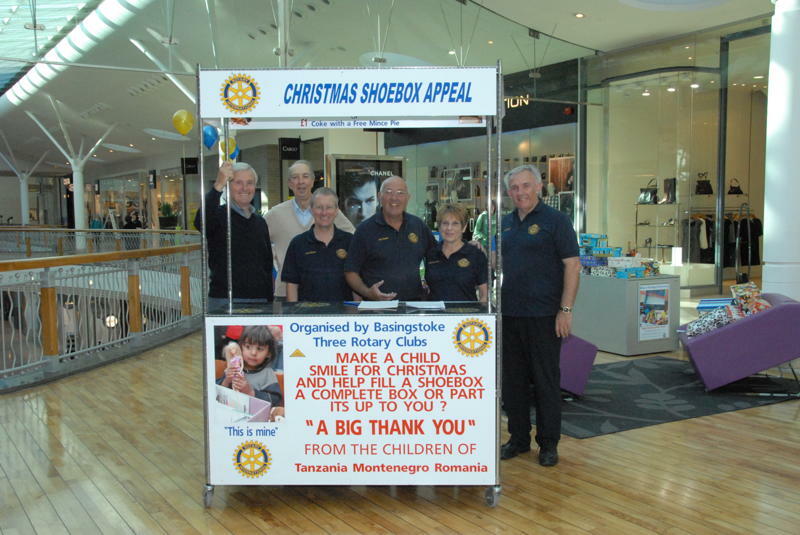 Basingstoke Deane Rotary supports many local charities, particularly those that have no fundraising capacity for themselves. 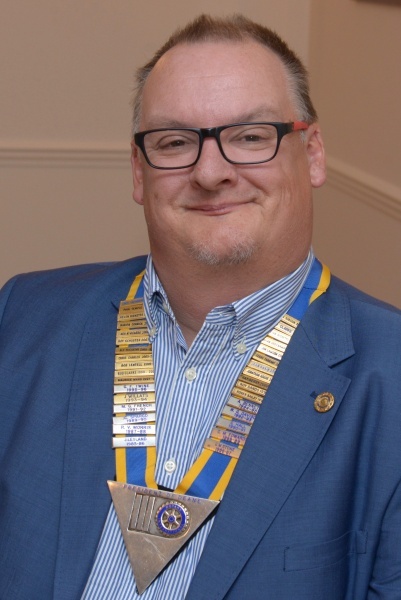 Rotarian Julian Ricketts took over as President of the Rotary Club of Basingstoke Deane in July 2018 from Lindy Richardson. Julian Ricketts is serving his second term as Club President for Basingstoke Deane Rotary, having previously been president in 2012/2013. 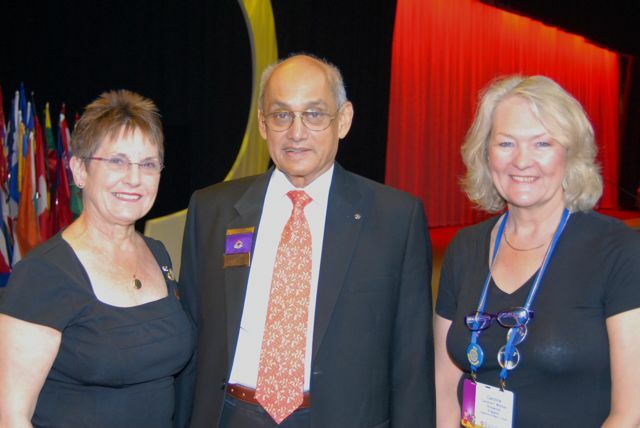 The highlight of Julian's Rotary career was being awarded with a Paul Harris Fellowship in 2018 for service to the community and bringing Rotary into the 21st century with a creative approach to social media. Julian works in IT and has grown up with computers. His early career took him to the world of banking in the city but since then he has worked in both start-ups and multi-national companies (usually when the latter buys out the start-up company). When not at work, Julian is passionate about making a difference in his community. He's regularly seen out volunteering for local causes and is a trustee for a Kenyan charity helping disadvantaged girls get an education. Julian has 5 pet rabbits and a pond full of fish. He is an experienced archer and one of his best memories is volunteering for the Archery at the 2012 London Olympics. He also makes a great BBQ pit-boss and his slow-roasting is legendary! And his profile would not be complete without mentioning Julian's obsession with all things "Star Wars". May the force be with Rotary and peace the galaxy over! 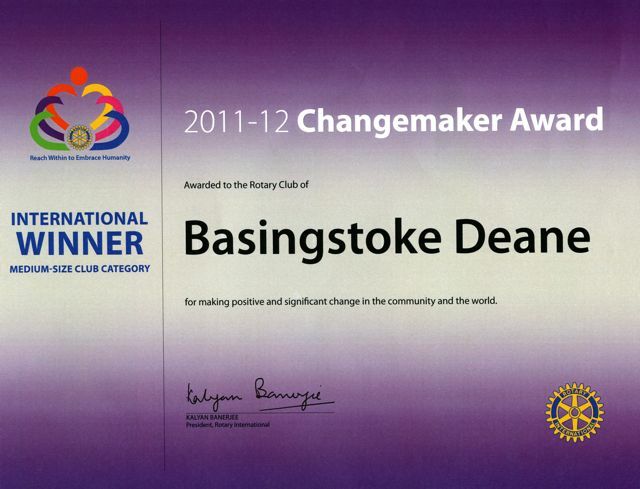 President Kalyan Banerjee has awarded the Rotary Club of Basingstoke Deane with The Changemaker Award. We are officially the best medium- size Rotary Club in the world!